Food Trucks / FREE Popcorn / Live Music / Games & Entertainment / The Easter Bunny! Grab a bite to eat before the film! Rolling Schnitzel & G-Dup Burgers Food Truck will be there along with other tasty foodies! Plus, there’s loads for the kids with jumping castles, roaming entertainment, face-painting, balloon twisters and more! 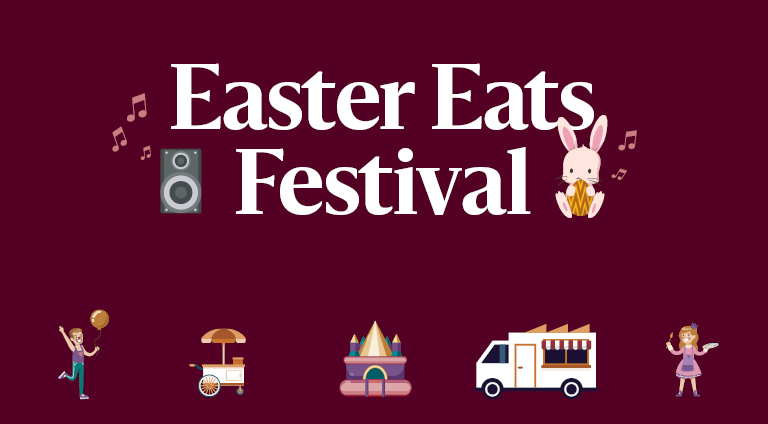 Continue on Saturday 13 & Sunday 14 April from 11am – 3pm with food trucks, live music, games, entertainment and more. Oh! and of course, a visit from the Easter Bunny himself!